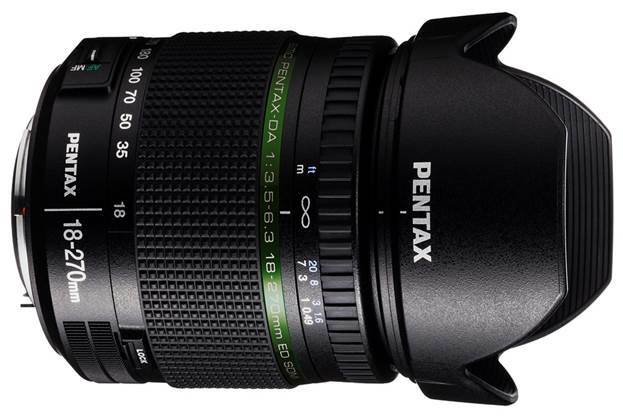 The Pentax 18–135mm f/3.5-5.6ED AL (IF) DC WR comes with an unusual suffi x for this price bracket. Ambarin Afsar fi nds out what it’s about. Offered as a kit companion to the Pentax K-3, K-50 and K-5 II bodies, the Pentax 18–135mm f/3.5-5.6ED AL IF DC WR is also stocked in stores as a standalone lens. I have a certain affection for kit lenses. They are every photographer’s go-to lens when one is just starting out. These lenses take quite a beating and after awhile, are usually retired to the back of the cabinet as the photographer’s kit expands. I think that these lenses are used to take the maximum number of risks, and that’s why it’s such a good thing that the Pentax 18–135mm lens is weather-resistant. The WR moniker means that it has six seals an a water and dust repellant coating on the front element. Why should it matter whether or not a kit lens like the 18–135mm is weather resistant? Well, just that feature alone would have raised the price of any lens by several thousand rupees. There is no other lens in this category, and at this price point (Rs. 30,000–35,000) that offers weather resistence. And when coupled with the weather-resistant Pentax bodies, a lens with a significant amount of reach becomes an added advantage. Or does it? Offered as a kit companion to the Pentax K-3, K-50 and K-5 II bodies, the Pentax 18–135mm f/3.5-5.6ED AL IF DC WR is also stocked in stores as a standalone lens. 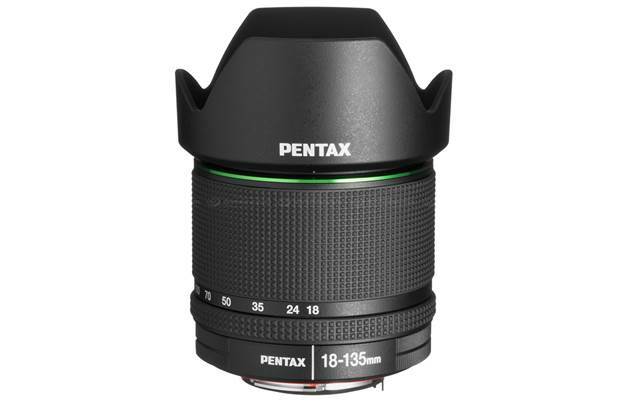 Made specifically for APS-C Pentax mounts, the 18–135mm offers an effective field of view of approximately 28–200mm, with the usual maximum aperture range of f/3.5-5.6. It features quick-shift manual focusing as well as internal focusing and the front lens element does not rotate, allowing users to make use of polarising or graduated filters in the thread. The lens is made of 13 elements in 11 groups. While the lens has a MF mode enabled by a switch, full-time MF override is enabled by simply rotating the focus ring. The closest focusing distance is 0.4m, which is good, but not out of the ordinary. 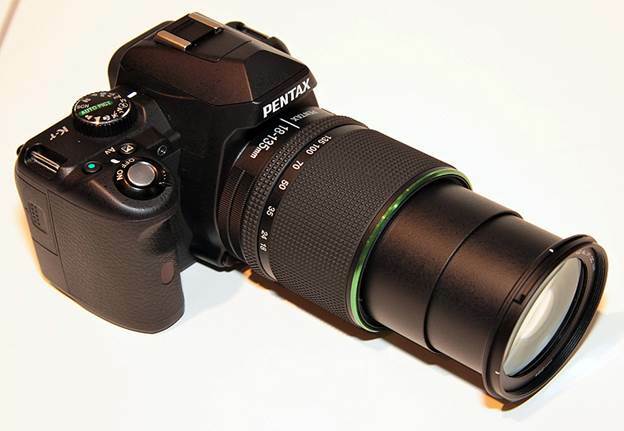 There is no image stabilisation because all of Pentax’s cameras have in-body stabilisation. What I liked about this lens was that it is quite light and compact. In fact, it seemed lighter and smaller than the Nikkor 18–105mm, a lens that I have spent a few years using. Turns out, it is just 20g lighter. Featuring a mix of metal and plastic body elements, the lens feels quite sturdy and can easily withstand the knocks that any kit lens is prone to receive during its lifetime. My only grouse was with the thin manual focus ring. I found it a little too close to the top portion of the K-3 (the body that I tested the lens with), which houses the flash. Besides the two rings, the lens features no other controls, and the absence of a distance or DOF scale makes the lens look quite bare. The zoom ring is where all the attention’s been given. It rotates smoothly, and the resistance is just right. it seemed lighter and smaller than the Nikkor 18–105mm, a lens that I have spent a few years using. Turns out, it is just 20g lighter. As long as you stick to stopping down the lens across the zoom range, you will end up with sharp results, with some soft corners. When the lens is thrown wide open at 18mm, it produces some pretty soft corners. However, centre sharpness is great all the way to 50mm. I’d say the sweet spot of this lens is about 35mm at f/8. Basically, shooting at f/8 towards the telephoto end of the focal range is a good idea. However, at 100mm and above, centre sharpness takes a downturn and you are stuck with images that aren’t as sharp as they could have been, regardless of the aperture you use. I would advise against stopping down the lens beyond f/11 at any end of the zoom range. Priced at Rs. 36,300, this is certainly no beginner’s kit lens, but rather for the serious enthusiast who doesn’t mind spending money for the added feature of weather resistance. However, what bothers me about this lens is its optical performance. At this price point, such an average delivery is really something I wasn’t expecting. If you already have a Pentax kit with the 18–55mm, and you want weather-resistance all around, you’d do better to simply get the 50–200mm, which is a far sharper lens. However, you would be saddled with having to change lenses. Alternatively, if you are comfortable with third-party options, you can get more reach for a lesser price with the Sigma 18–200mm f/3.5-6.3 DC OS HSM. if you are comfortable with third-party options, you can get more reach for a lesser price with the Sigma 18–200mm f/3.5-6.3 DC OS HSM.